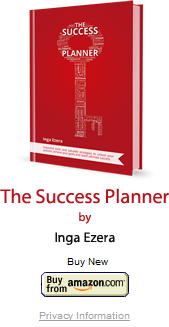 Exciting news – FREE eBook to sky-rocket your career success!!! Coming soon – I’m currently working on developing eBook to share with you the exciting and impactful “Career Success Formula”. This eBook is for ambitious, dedicated professionals like you who love to receive insights and take action to succeed in their life, career and business. Frequently I have been receiving questions from my clients – do you have a proven formula that could be easily applied and help to make an impact for career success. That inspired me to develop this eBook and share with you my proven Career Success Formula. Click on the Career Success Formula from mid November 2016 for immediate access to FREE eBook “Career Success Formula” and learn how to get the right for you promotion or receive your dream job offer easier and faster! You will discover simple concepts to follow so you never have to run after job ads again, but confidently get noticed and recognized for who you are and how you add value. If you join our mailing list we will send you a brief introduction to the way the book can be used to unlock your passion, achieve your goals and reach ultimate success. Lifestyle business gives you freedom. HOW? Share your knowledge: become a millionaire!! Live in Barcelona!! Master The Power of LinkedIn for Your Business – live in Barcelona! The Power of a Personal Brand to Skyrocket Your Business – in Barcelona!!! © 2015 Success Engine Limited. All Rights Reserved.